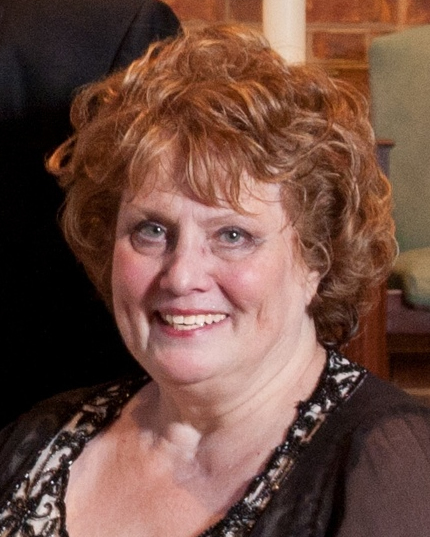 On February 10th, 2019 Patricia M. Fahey died peacefully surrounded by her family at INOVA Fairfax hospital. Patricia (Pat) was born on September 16, 1946 in Cleveland, Ohio to Vincent and Julia (Hart) Conkey. She was the eldest of eight children. Sister to Vincent (d.) (Kathy), Timothy (Rosemary), Gregory, Cecelia, James (Gilda), Mary Alice and Robert (Margaret). She graduated Beaumont School in Cleveland Heights in 1964. She attended St. John’s College in Cleveland. She married Thomas Kevin Fahey on September 23, 1967. They welcomed their first child Thomas Kevin Jr. in 1968 in Cleveland, Ohio. As an army wife, she traveled with her husband to Fort Carson, Colorado and had their second child, Mary Katherine in 1969. During the time Tom was deployed in Vietnam, Pat returned to Cleveland where she had their third child Kathleen Ann. After returning from combat, Pat and Tom were stationed at Fort Eustis, Virginia for a year before relocating to Fort Belvoir in Alexandria, VA. In 1976, Tom left the Army, but the family remained in Alexandria, where they have resided ever since. Pat loved to work. Starting out as a first grade teacher in Cleveland, she had numerous occupations throughout her life. When the family settled in Alexandria, she worked with engaged couples in the Pre-Cana program for the Diocese of Arlington. She later became a Realtor, during which time the couple welcomed their fourth child, Elizabeth Rose in 1983. But Pat’s true calling was social work. She returned to school and received her Bachelor of Arts degree from Trinity University (Washington, DC) followed by a Master of Social Work from Catholic University (Washington, DC) and then became a licensed clinical social worker (LCSW). Thereafter, she opened her own practice in 1991, specializing in the treatment of addictions, which she continued to work at until her passing. She enjoyed traveling, particularly cruising to the Panama Canal & Italy with her father. She was an excellent cook who enjoyed feeding family and friends. She had a knack for decorating and a fabulous sense of style. She is survived by her loving husband of 51 years Tom, her four children Thomas Kevin Fahey, Jr.(Carolyn) of Woodbridge, VA, Mary Katherine Fahey (David) of Fredericksburg, VA, Kathleen Higer (Merrell) of Fort Lauderdale, FL, and Elizabeth Limarzi (Michael) of Alexandria, VA. Pat will also be fondly remembered by her grandchildren, Maurice, Thomas, Madison, Patrick, Andrew, Katie, and McLean. Pat will also be forever remembered by her numerous nieces, nephews, extended family and dear friends. On February 14th from 5 to 8 PM a memorial gathering will be held at Everly-Wheatley Funeral Home, 1500 W. Braddock Road, Alexandria VA 22302. On Friday, February 15th from 10AM- 11AM a second memorial gathering will be held at Good Shepherd Catholic Church, 8710 Mount Vernon Hwy, Alexandria, VA, followed immediately by a Mass of Christian burial at 11 AM. Inurnment will take place at Arlington National Cemetery at a later date. Donations can be made to House of Champions, c/o Sr. Mary Kay Conkey OSU, 2066 W. 47 St., Cleveland, Ohio 44102 (www.houseofchampions.org).